Marcos de Quinto is retiring from Coca-Cola as global chief marketing officer after nearly 35 years with the soft drinks giant. The company today announced de Quinto’s departure and credited him with a "resurgence in the quality of Coca-Cola advertising". The change is part of a number of senior leadership changes at the company that take effect from 1 May, when president and chief operating officer James Quincey will become chief executive of Cola-Cola. The company’s top global marketing role will be combined with strategy under a single chief growth officer who will be tasked with driving growth across five strategic drink categories: sparkling; juice/dairy/plant-based; tea and coffee; water; and enhanced waters and energy. Francisco Crespo, the president of Coca-Cola Mexico, will fill the newly-created role of chief growth officer in May. Crespo has been at Coca-Cola for 28 years. Julie Hamilton, chief customer and commercial leadership officer, and the corporate strategy and planning and global marketing leadership teams, will report to Crespo. De Quinto, who took up the chief marketing officer role in January 2015, was behind Coke’s One Brand marketing strategy, as well as the global "Taste the feeling" campaign. He is also credited with the radical rebrand of Fanta which was announced today. 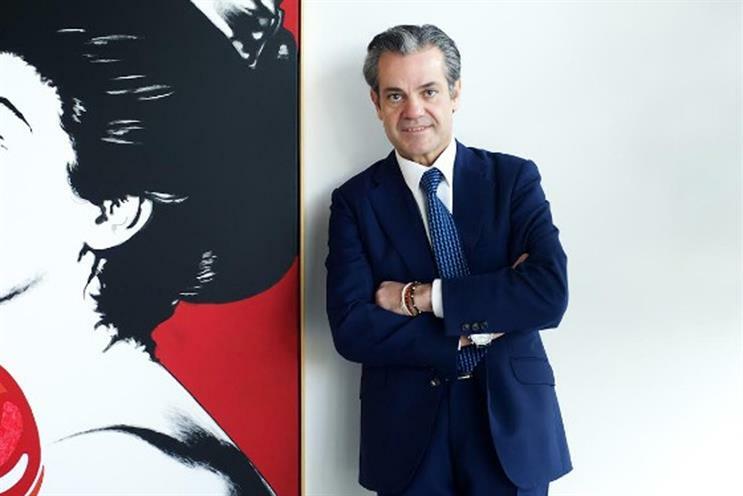 De Quinto joined Coca-Cola in 1982 as part of the marketing department in of Cola-Cola Spain and, save for a two-year stint agency-side at BSB Advertising as director for Southern Spain, has worked at Coke ever since. From 1992 to 1995, de Quinto served as division marketing manager of Coca-Cola Southeast and West Asia. He was marketing director of the German division from 1995 to 1996, after which he became regional manager of Coca-Cola Spain, until he was named president of the Iberia business unit in 2000, where he worked for 14 years before being named global chief marketing officer. Quincey said: "Today’s organisational announcement is another building block in our company’s transformational journey. "We are moving quickly to structure our organisation for faster growth and to ensure we can respond to the fast-changing needs of our consumers, customers, system and associates around the world." Are brands taking packaging seriously?